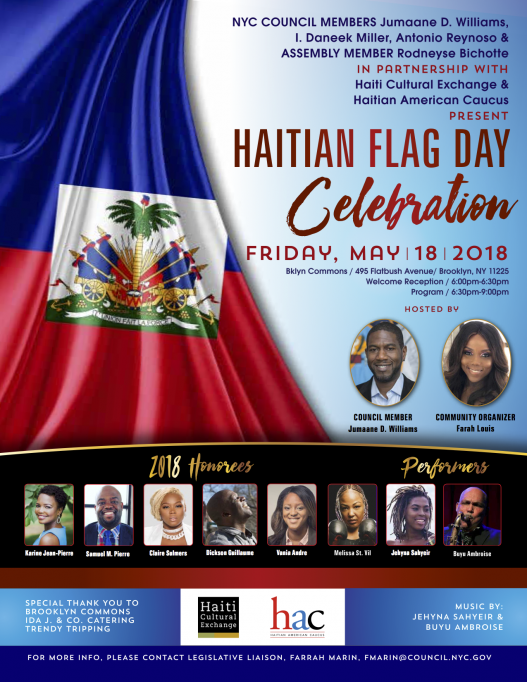 Brooklyn’s Haitian Flag Day Selebrasyon! 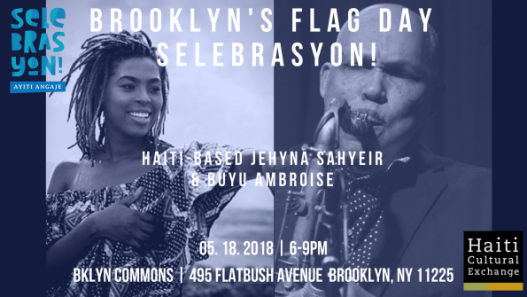 In collaboration with Council Member Jumaane Williams & Assembly Member Rodneyse Bichotte, HCX will be presenting HaitiXNY artist Jehyna Sahyeir and Buyu Ambroise as part of Brooklyn’s annual Flag Day Selebrasyon! This entry was posted on Thursday, April 12th, 2018 at 2:03 pm	and is filed under Archive, Selebrasyon!. You can follow any responses to this entry through the RSS 2.0 feed. You can leave a response, or trackback from your own site.